Construction is underway- expected June move-in! 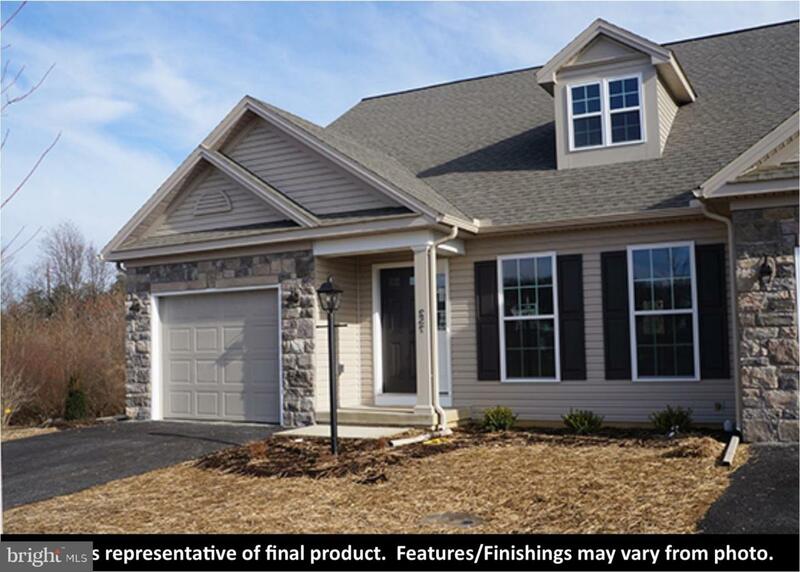 **END UNIT** in Stonehedge by S&A Homes. Open floorplans with tons of storage. Cathedral ceilings in great room. Wood floors in entry, great room, powder room, and kitchen. Kitchen features recessed lighting, pantry cabinet and wall pantry, window over the sink, and 48" island w/ overhang for seating. 1st floor owner's suite with private bath and WIC. Upstairs you will find a 2nd bedroom and bath, a loft open to great room, and tons of storage. Patio off kitchen and building backs to trees. Maintenance free neighborhood, located minutes from I-81, includes lawn, snow, exterior maint & ins, trash, and cable.